STAINLESS STEEL ELEGANCE that fits every kitchen. 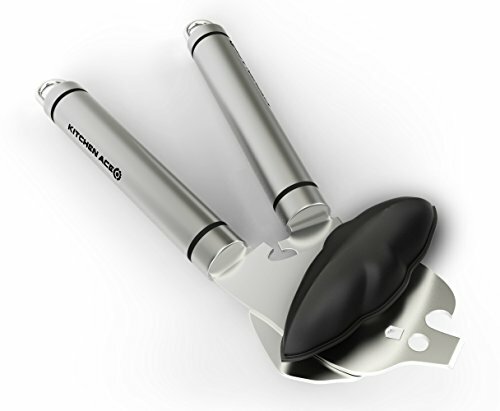 Brushed stainless steel handles mounted to a smooth polished head. 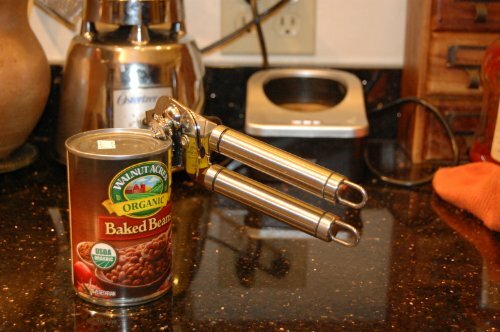 LARGE, EASY TURN HANDLE quickly makes opening any can a breeze. 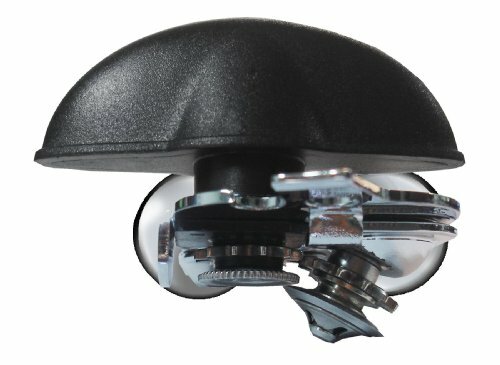 A great choice for those with arthritis or weak grip strength. 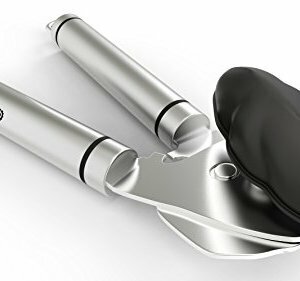 SAFE CUT DRIVE LEAVES A SMOOTH EDGE, making cans safer to handle. 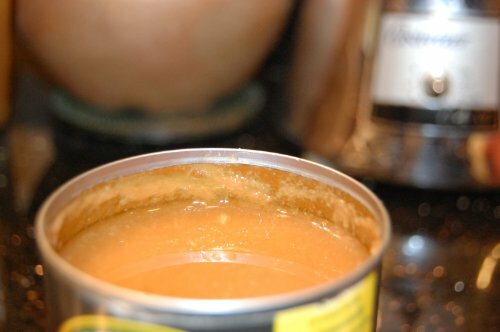 Extra sharp cutting disc removes can top at the closes place possible on the can. 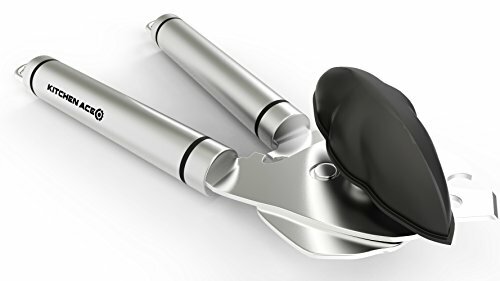 Elegant Stainless Steel design provides all the useful functions every kitchen needs, including a bottle opener, Soda pop top opener, pincher, and of course, an exceptional can opener. 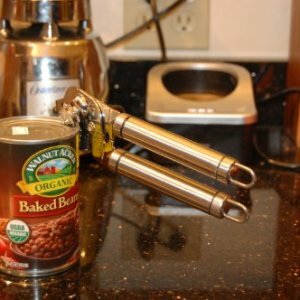 The can opener also comes equipped with dual hanging loops that make it easy to find even in the busiest of kitchens. 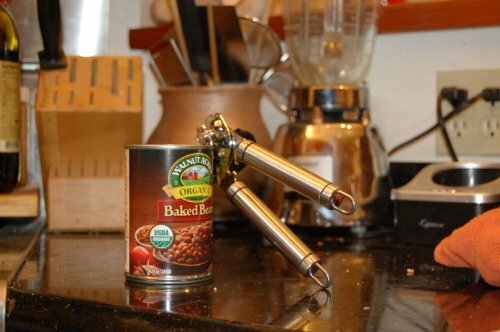 Featuring brushed stainless steel handles, mounted on a polished stainless steel head, this can opener is built to last. 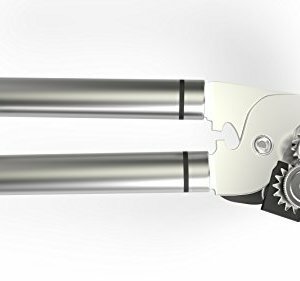 All-stainless design also means that the tool is easy to clean, and will never rust. 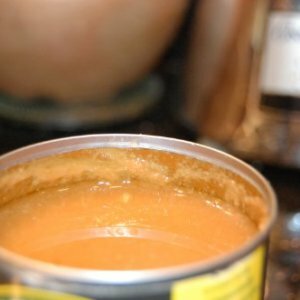 The extra sharp stainless steel and corrosion resistant safety-cut cutting disc removes the lid at the closest place possible to the can to insure no sharp edges remain on the can itself. 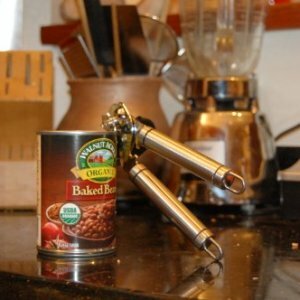 The extra-large easy turn knob and round tube handles provide a supremely comfortable grip, and combined with the smooth dual gear drive mechanism, makes this can opener one of the easiest to operate. 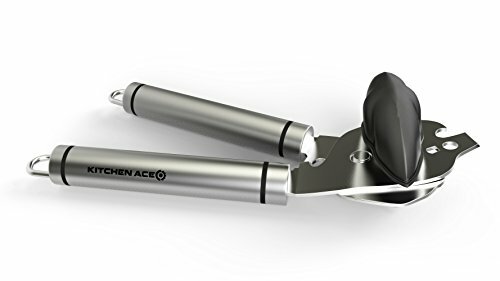 A great choice for anyone with arthritic hands, weak grip strength, or who need assistance opening cans. 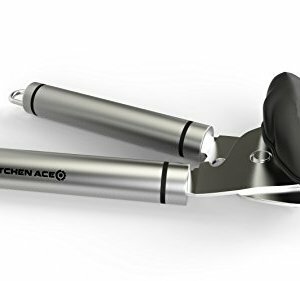 The Kitchen Ace Professional Series Can Opener is guaranteed to be the finest opener you have ever used, so don’t wait, get yours today! 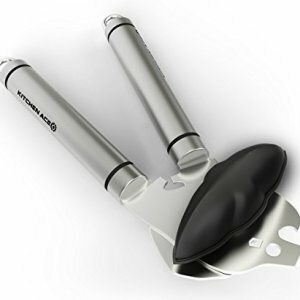 EASY CLEANING STAINLESS STEEL DESIGN makes for long lasting durability. 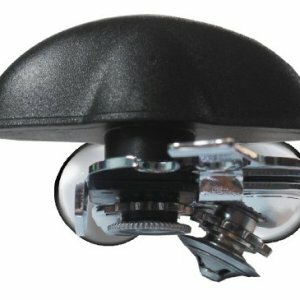 Full stainless steel construction that never rusts. 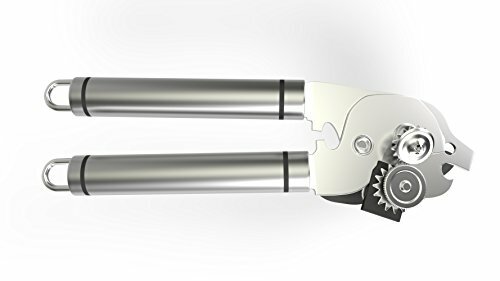 HEAVY DUTY TRIPLE ACTION CAN OPENER, pops soda tops, and opens bottles. 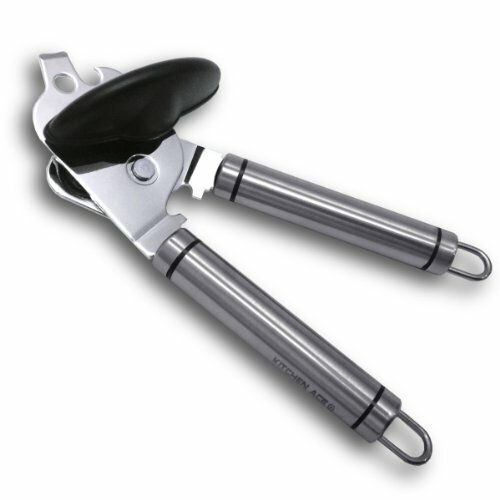 Multi-function heads makes this one of the most versatile LONGEST LASTING CAN OPENERS AVAILABLE!